A Boston doctor pleaded with CVS to change its on-hold music. Now his wish may be coming true. A CVS pharmacy location in Manhattan. Dr. Steven Schlozman had had enough with the melody. He just couldn’t take hearing it anymore. Something had to change, or he was bound to lose his mind. On the brink of a possible breakdown, he penned a tongue-in-cheek letter to WBUR’s CommonHealth in May, begging — no, pleading — CVS to change the music that customers and doctors are forced to listen to when they’re placed on hold by the pharmacy. Now, Schlozman’s dreams could be coming true. The nightmare, he hopes, may soon be over. CVS spokeswoman Amy Lanctot told the Globe in a statement Friday that the company is in the process of updating its interactive voice-response phone system, including the on-hold music that Schlozman — he estimates he’s heard the music approximately three times per day for many years — and someothers detest. The announcement about the pending changes was first reported by WBUR on Friday, after the station decided to follow up on Schlozman’s original letter. When WBUR published Schlozman’s cry for help last spring, it launched a nationwide debate, with people split on whether the piano tune that pours through phone receivers is soothing or flat-out irritating. The newspaper went as far as tracking down the origins of the song, claiming it was composed by Harvard University-educated musician James Romeo, who died in 2002. Later, the divisive music became prime-time fodder for “Good Morning America” hosts, and Schlozman was forced to hum it on air, he said. Of course, not everyone hates it. “We’ve kept this song as our on-hold music for so long because of the numerous positive comments we’ve received from customers over the years,” a CVS spokesman told the Journal in July. Lanctot, the CVS spokeswoman, said the company purchased an interactive voice response system from Vertical Communications nearly two decades ago, and the song was included as part of the package. Pharmacies have used it as the on-hold music ever since. It’s currently played for customers and doctors who call any of the company’s 9,800 locations. 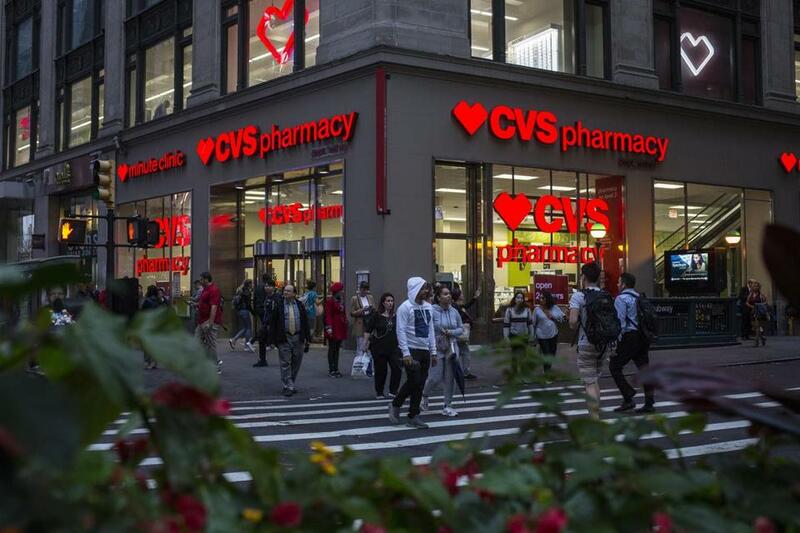 Even though CVS officials say plans were already in the works to “enhance” the company’s phone system — including the classical music — Schlozman is pleased about the announcement. He said he hopes the words “updating” and “enhance” mean a new tune, or tunes, are on the way. “If they asked what my opinion is, they should change the tune,” he said. The Massachusetts General Hospital Clay Center for Young Healthy Minds, where Schlozman is a codirector, also lauded the announcement. Some #FridayFun! ~ Last May, our co-director @zombieautopsies wrote a humorous post for @commonhealth that went viral - including to @GMA & @WSJ - begging #CVS to change its hold music.